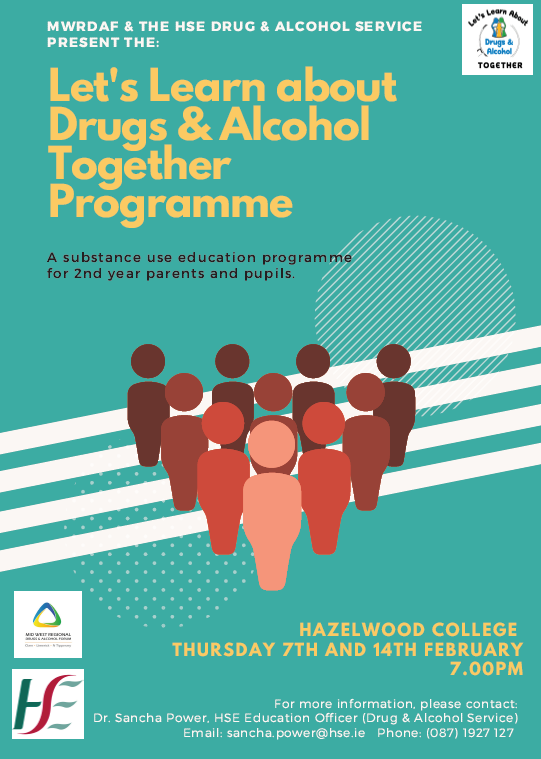 Parent of 2nd and 3rd year students are invited to attend a talk on drug and alcohol awareness in the school. It is a two part programme with parents only to attend the first evening and then the following week the parents would attend with the student. Full details will be given to the students in the coming days.